Terms and Conditions Apply: For rates and fees of the Gold Delta SkyMiles® Business Credit Card from American Express, please visit this rates and fees page. The Gold Delta SkyMiles® Business Credit Card from American Express combines the travel benefits of a travel rewards credit card with the business-friendly features and spending power of a business credit card. With a $95 annual fee, this card is geared toward business owners who take enough Delta flights to offset its ongoing cost. Gold Delta SkyMiles Business earns an unlimited 2 points per $1 spent on all eligible Delta purchases, including airfare and incidentals. All other eligible purchase earn an unlimited 1 SkyMile per $1 spent. You can redeem accumulated SkyMiles for Delta airfare purchases and merchandise listed for sale at the SkyMiles MarketPlace. Gold Delta SkyMiles competes with a number of other travel-focused business credit cards, including Citi / AAdvantage Platinum Select MasterCard and Marriott Bonvoy Business™ American Express® Card. It also competes with general-purpose business rewards cards that have travel rewards components, including Chase Ink Business Preferred, and SimplyCash Plus Business Card from American Express. Gold Delta SkyMiles Business is very similar to American Express’s consumer Gold Delta SkyMiles card. If you don’t own your own business, the consumer card is a better option. Earn 30,000 bonus Delta SkyMiles when you spend $1,000 in purchases with your new card in the first 3 months. Additionally, earn a $50 statement credit when you make a Delta purchase with your new card within the first 3 months. Earn 2 Delta SkyMiles for every $1 spent on eligible purchases made directly with Delta. Earn 1 SkyMile for every eligible $1 spent on all other eligible purchases. You can redeem your accumulated SkyMiles for Delta airfare. Redemption thresholds start at 10,000 SkyMiles for some domestic economy one-ways, and 12,500 SkyMiles for a broader range of domestic flights with more flexible travel dates. However, Delta’s redemption tables are somewhat variable, and certain travel dates and times may require more SkyMiles (for instance, peak-season weekend flights versus off-season weekday flights to popular vacation destinations). Point values generally fall between $0.005 to $0.02 at redemption, but can vary somewhat on either side. You can also redeem your SkyMiles for merchandise, gift cards, and special experiences (such as musical performances), at the Delta SkyMiles MarketPlace. SkyMiles are typically worth significantly less than $0.01 apiece when redeemed at the MarketPlace, but minimum redemption thresholds are lower – in the 2,000-mile range. The $95 annual fee is waived for the first year. There is never a foreign transaction fee. Cash advances cost the greater of $5 or 3%, while late and returned payments both cost up to $38. For rates and fees of the Gold Delta SkyMiles® Business Credit Card from American Express, please visit this rates and fees page. Generous Airport Lounge Benefits. Gold Delta SkyMiles Business has one of the best airport lounge benefits of any direct competitor. You’re entitled to two discounted airport lounge passes, a total savings of $60 per trip, whenever you fly on Delta. Neither CitiBusiness/AAdvantage Platinum Select World MasterCard nor Capital One Spark Miles have similar benefits. Generous Airfare Redemption Values. While it’s important to remember that point values can vary at redemption based on factors such as time, date, season, and demand, SkyMiles tend to be worth a decent amount: at least $0.005, and sometimes as much or more than $0.02. Compared to Chase Ink Business Preferred‘s flat $0.0125 travel redemption point value, that can be a good deal. Very Good Welcome Offer. Gold Delta SkyMiles Business’s welcome offer is worth 30,000 bonus SkyMiles when you spend $1,000 within the first 3 months, plus a $50 statement credit when you make a Delta purchase with your new card during the same timeframe. This is a much better deal than some other popular business credit cards. For instance, the welcome offer for the Business Green Rewards Card from American Express is worth just $50. It’s also quite easy to attain. No Foreign Transaction Fee. Gold Delta SkyMiles Business doesn’t come with a foreign transaction fee. That’s a nice perk relative to other popular business cards with travel rewards. Has an Annual Fee. Gold Delta SkyMiles Business Credit Card has a $95 annual fee. Many popular business rewards cards have lower annual fees (e.g., Capital One Spark Miles for Business at $59) or none at all (e.g., Chase Ink Business Cash Credit Card). Airfare Rewards and Redemption Exclusive to Delta. When it comes to travel redemptions, Gold Delta SkyMiles Business is a bit restrictive. You can’t redeem accumulated SkyMiles for non-Delta airfare, which is a serious inconvenience if you live near an airport that’s better served by other airlines. General-purpose business travel rewards cards, such as Capital One Spark Miles and Chase Ink Business Preferred, have no restrictions of this nature. SkyMiles MarketPlace Slashes SkyMile Values. When redeemed for Delta airfare, SkyMiles hold their value well against the competition. However, their worth takes a serious hit when redeemed for general merchandise and other items at the SkyMiles MarketPlace. Unless you have a surfeit of accumulated SkyMiles and no plans to travel for the foreseeable future, it’s not advisable to waste your points at the MarketPlace. And, if you find yourself in that situation, it’s likely better to stop using your Gold Delta SkyMiles Business card altogether. 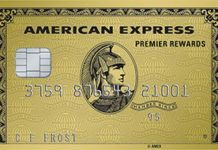 American Express’s Membership Rewards program – which counts Blue Business Plus, Business Green Rewards from American Express, and Business Gold Rewards from American Express as participants – has much more reasonable redemption values. No Automatic Airline Loyalty Benefits. Gold Delta SkyMiles Business doesn’t get you any closer to preferred or frequent flyer status with Delta. This is a drawback for frequent Delta travelers and a disadvantage relative to competing business rewards cards – including the Marriott Bonvoy Business™ American Express® Card, which automatically earns you five nights and two stays’ credit toward SPG Elite status. Points Accumulate Slowly on Non-Delta Purchases. This card earns just 1 SkyMile per $1 spent on eligible non-Delta purchases. Assuming you value the points similarly, that’s a slower rate than Capital One Spark Miles for Business, which earns an unlimited 2 points per $1 spent on all purchases. Gold Delta SkyMiles® Business Credit Card from American Express is a great credit card for business owners who prefer Delta, live near airports served by Delta, and who fly frequently to destinations served by Delta. This describes a fairly wide swathe of the U.S. entrepreneurial population – but not everyone. If you routinely fly out of another airline’s hub, another airline-specific business credit card is likely to be a better fit. And, if you’re one of the millions of business owners who don’t need to fly frequently, it’s worth considering a different type of business credit card altogether – perhaps one with a broader rewards program. Need more ideas? Check out our credit card reviews page to learn about dozens of popular credit cards from Amex and others. Gold Delta SkyMiles® Business Credit Card from American Express is a solid business travel rewards credit card that’s ideal for frequent Delta travelers who enjoy airport lounge access and relatively fast progress toward free flights. It’s not as good a deal for business owners who enjoy more varied and versatile rewards programs, nor those who value frequent flyer or traveler status above other perks. Great airport lounge benefits, a nice welcome offer, solid redemption values, and no foreign transaction fees are all good. Annual fee, poor redemption values at SkyMiles MarketPlace, no automatic loyalty benefits, and slow point earnings on non-Delta purchases all hurt. Overall, a good business card for frequent Delta flyers, and so-so for everyone else.